I studied engineering at university and heard about IOP when I decided to become a teacher. I applied for and was awarded a Teacher Training Scholarship in 2015. I was motivated to join IOP partly due to its reputation – as an engineer entering the world of physics teaching, association with IOP would give me more credibility as a physicist. The other reason I was interested was on account of the support IOP offered; the professional development opportunities provided and promoted by IOP have been invaluable in the early stages of my career. I graduated with a master’s degree in civil engineering from Cardiff University. Having enjoyed outreach work during my time as a student, I decided to give teaching a go. I studied for a postgraduate certificate in education , qualifying as a teacher in 2016. I then worked for a year in a large comprehensive school in Derby, where alongside teaching science and physics, I ran a science club and launched a camera into space! 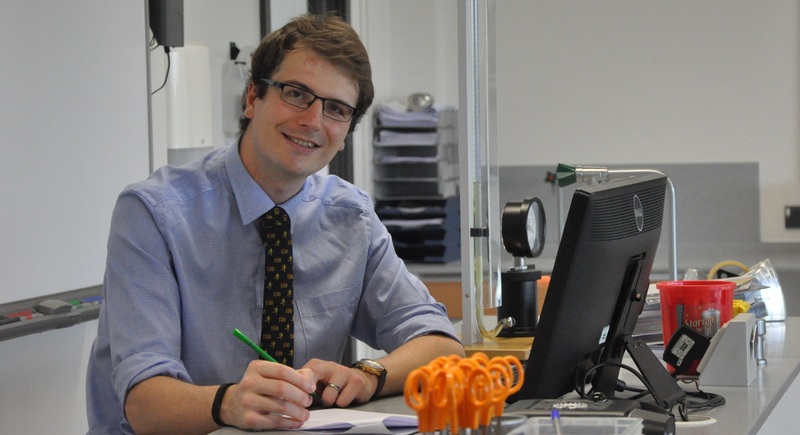 This September I moved to an independent school, where I now teach physics to 13-18 year olds and play a key role in supporting students hoping to study engineering. Throughout my teacher training, IOP support was hugely important. The scholars’ masterclasses and networking events and workshops for physics teachers not only supported my professional development, but also helped me establish myself in a community of collaborative and like-minded people. The professional development opportunities provided and promoted by IOP have been invaluable in the early stages of my teaching career. I find that the regular emails from IOP's Stimulating Physics Network are always packed with interesting physics to incorporate into my lessons, as well as sharing amazing opportunities that might otherwise have escaped my notice – thanks to an email from my mentor; I successfully applied for a training course with the European Space Agency in the Netherlands! IOP, particularly the side of it which supports people learning and teaching physics, is a wonderfully passionate community. In an Ofsted-driven world, it is refreshing to be part of a group of people for whom physics is not an A* or a Grade 9 or a drain on the school budget; for us, physics is exciting, relevant and fun.